Mid-Century Shallow Drum style shades were often accessorized with white translucent acrylic diffusers top mounted for table and floor shades and both top and bottom mounted for hanging fixtures. 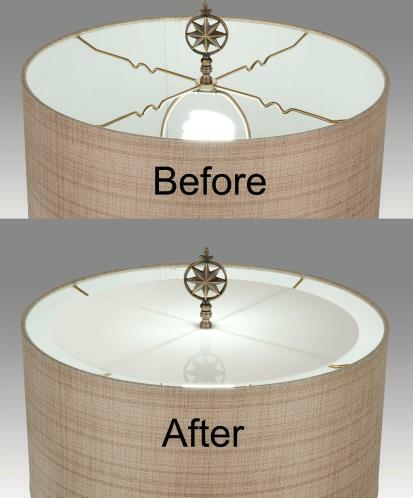 Not only do these diffusers improve quality of the light, especially when using energy efficient compact fluorescent or halogen light bulbs, they also add a finished look to many table lamps. When mounted underneath, a superior look and performance is achieved for Shallow Drum hanging fixtures.